Page One of the monthly FAIR publication Extra. George was a subscriber and supporter of the organization, which critiques media coverage.Loop Church, 11 E. Adams St., Suite 1200, Chicago IL 60603 (loopchurch.org) where George's sons and I are members. FAIR, 124 W. 30th Street, Suite 201, New York, NY 10001. 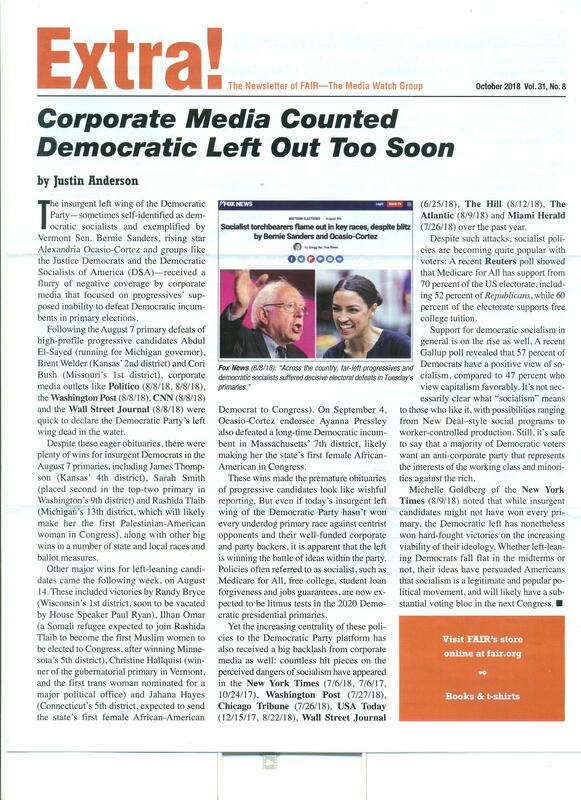 Fairness & Accuracy In Reporting is the nonprofit progressive national media watch group (fair.org). In addition, some people donated to CaringBridge, a free website people may use when they need to share information about a family member's illness. I used this website to blog during the summer before George died. Thank you so much to many people for giving to these good organizations in George's name.